With the proliferation of geek pop culture in media and merchandising, indulging our geeky passions can certainly be an expensive endeavour. For Malaysian geeks collecting life-size statues and replicas, or venturing half-a-world away to attend San Diego Comic-Con, these indulgences easily amount to five-digit figures in MYR. Besides, geeks still need basic life necessities that equate to bringing food to the table and bills to be paid lest we go extinct like dinosaurs; at least until replicator technology as seen on Star Trek becomes real, or Jurassic Park opens in Isla Nublar. 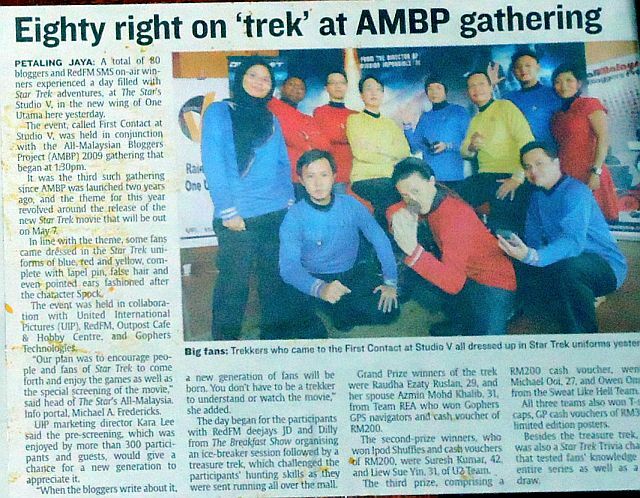 To fund such livelihood with geeky garnishes, we could readily accept mundane employment working 9-to-5 and live only for the brief respite of public holidays. 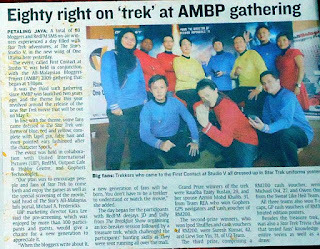 But instead we prefer to tap into our professed geekiness to bring forth events for geek pop culture to the Malaysian audience. 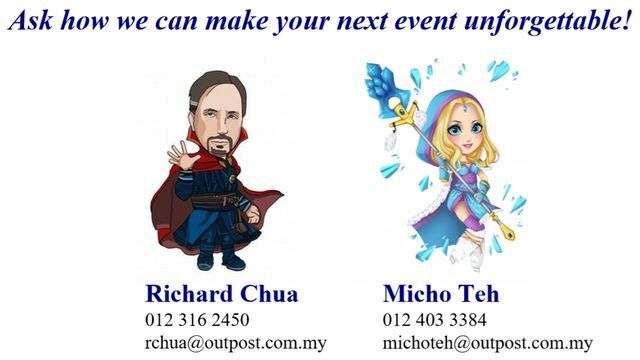 Outpost Management Sdn Bhd was established in 2006 for such purpose, launching as a hobby centre in Cineleisure Damansara (now known as eCurve) for geeky endeavours like cosplay, fan gatherings, toy collectors, scale modelling workshops, and more. Concurrently Outpost began participating in events from requests to engage fan communities for engagements associated with movies, carnivals, and charity as well as projects for marketing brands. As geeks ourselves, we understand what fans want and enable us to create thematic events appealing to their fandoms. 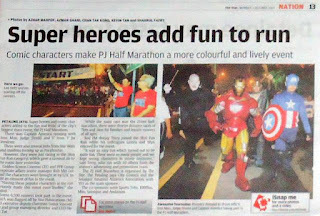 This allows us to craft experiential elements of geek pop culture into events that fans can appreciate whilst also presenting the opportunity for non-fans to be more deeply assimilated into the fandom. 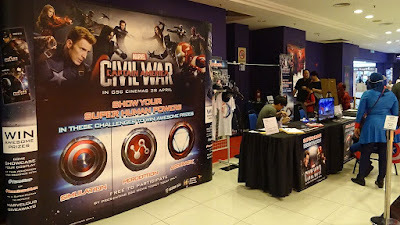 Captain America Civil War Roadshow; client GSC Cinemas. Marvel movies have certainly been a BIG hit bringing geeky comic books to mainstream audiences. Outpost had the opportunity to bring this Marvel geekiness to GSC Cinemas with a thematic Captain America Civil War roadshow leading up this movie release in April 2016. Cinema patrons were challenged on a series of activities inspired by superheroes like Iron Man and Ant-Man for the chance to win movie premiums. The inaugural live-action movie for popular video game franchise Assassin's Creed was released in December 2016. 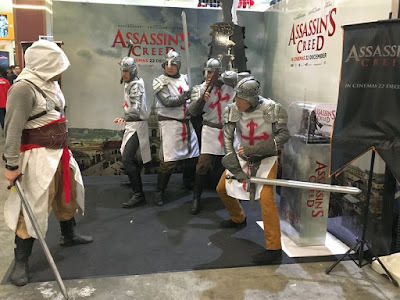 That month in Comic Fiesta, Malaysia's largest Anime, Comics & Games (ACG) convention, we deployed a team of “Templars” versus an “Assassin” to perform sword fights in the event halls. Assassin's Creed combat performance; client 20th Century Fox. For sci-fi horror movie Alien Covenant in May 2017, we served cinema-goers a slice of “terror” from the movie with a Xenomorph Facehugger attacking a crewmember. Some of their reactions were captured on video for social media. Over the last decade, popular entertainment franchises have been and continue to be adapted for movies and television, such as HBO's Game of Thrones based on fantasy novels by G.R.R. Martin. In cinemas, successful movies are often lined-up for sequels so much that often the Hollywood summer blockbuster season is padded with them such as Avengers Infinity War (19th movie in the Marvel Cinematic Universe), Jurassic World Fallen Kingdom (5th in the Jurassic Park saga), and Mission Impossible Fallout (6th in the series since 1996). Geeky franchises often have an avid fan-base and therefore every sequel movie or new season on television are occasions for fans to come together. 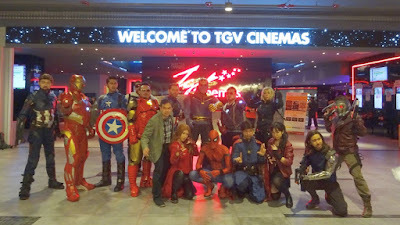 Heroes Homecoming Fan Gathering; client TGV Cinemas. TGV Cinemas have come to recognise these fandom and recently collaboration with Outpost to invite cosplayers to their Heroes Homecoming Fan Gatherings for Justice League, Avengers Infinity War, and Ant-Man & The Wasp. 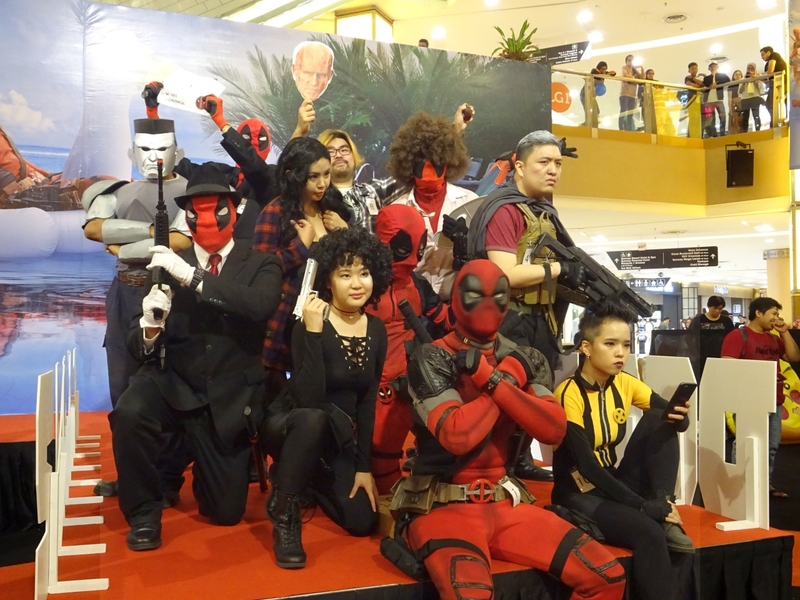 This year, Outpost also managed the Cosplay Competitions for their most recent event in Sunway Putra Mall and the Deadpool 2 Party at Sunway Pyramid. Recognising that fans are often passionate to discuss their fandom, we have arranged Fan Panels sessions for Assassin's Creed at Comic Fiesta 2016 and Ghost in the Shell in March 2017. Outpost has over 10 years of handling official mascots as an agency for corporate clients. 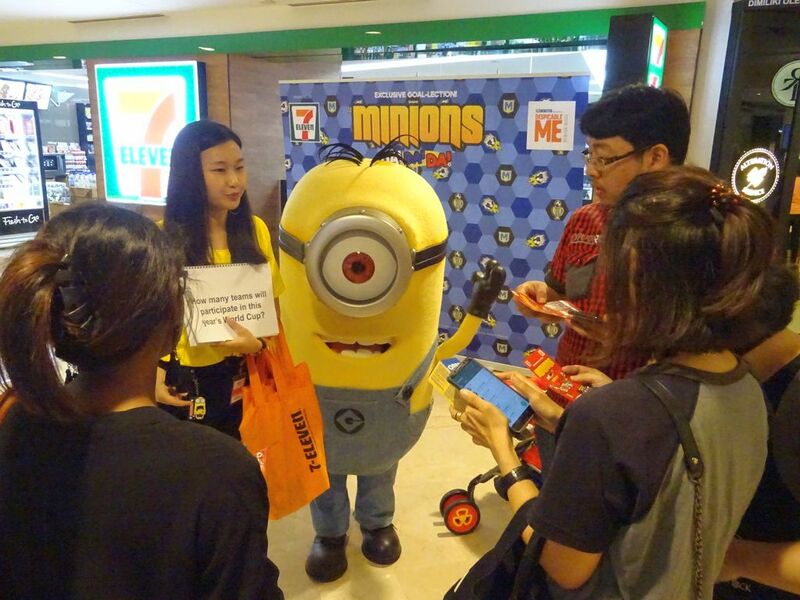 These mascots for franchise movies and toy brands are often deployed for meet & greet appearance on roadshows at cinemas and stores. 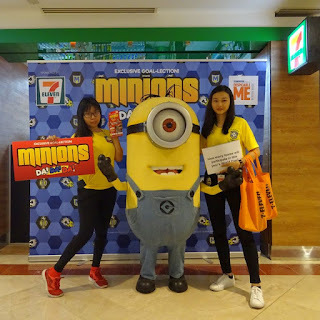 Mascots we have managed include Transformers, The Smurfs, Spider-man, Angry Birds, Hotel Transylvania, Madagascar, The Minions, Despicable Me, Monster Hunt, LINE Friends, Bananas in Pajamas, etc. 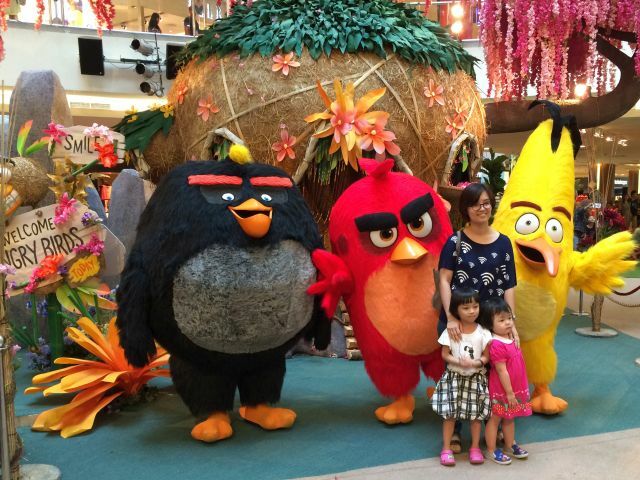 Angry Birds; client Sony Pictures. Despicable Me 3; client United International Pictures. 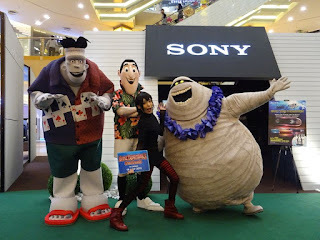 Hotel Transylvania 3 Monster Vacation; client Sony Pictures. Mascots are usually associated with new movie release or licensed merchandise and collaborative events. We may assist to facilitate brand partnerships with the respective licensors. Outpost Productions also extends event agency services for on-ground marketing by brands. We have conducted in-store brand marketing for toys like NERF, Transformers, My Little Pony and Monopoly for Hasbro. This year we undertook roadshow for 7-Eleven promoting their Minions Da Da Da! redemption programme at Klang Valley shopping malls. 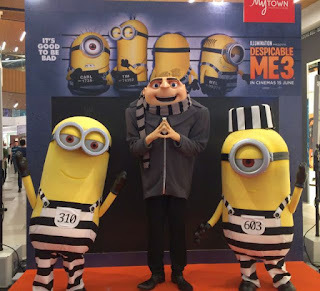 Minions Da Da Da! ; client 7-Eleven. For movie marketing, we recently setup thematic activities at Comic Fiesta 2017 for Jumanji Welcome to the Jungle and Maze Runner The Death Cure. 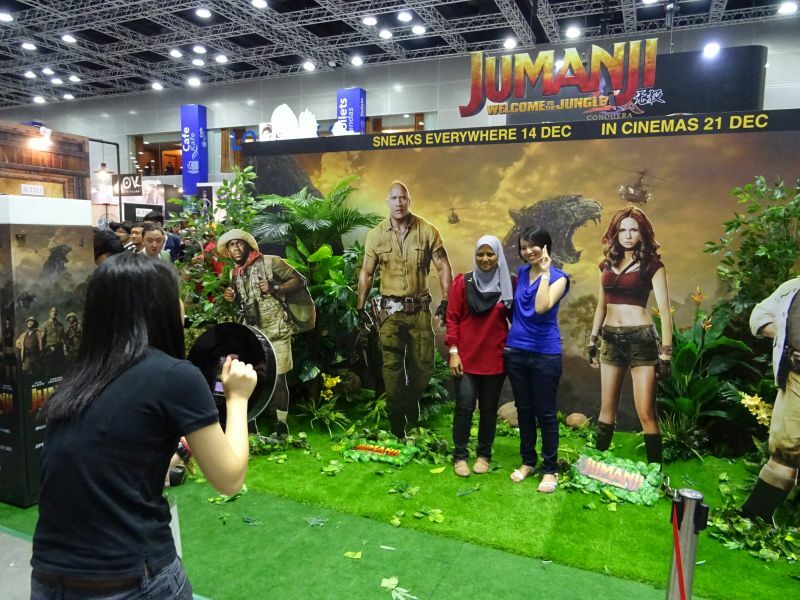 Jumanji Welcome to the Jungle; client Sony Pictures. 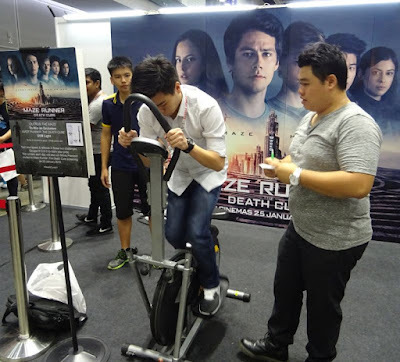 Maze Runner The Death Cure; client 20th Century Fox. Our resident “Vulcan” on assignment to study human Geek Pop Culture is a valuable resource that may be tapped to provide valuable insight on how to engage various fandoms. By knowing what fans want, Outpost is able to offering consulting services to corporate clients, event organisers and NGOs on how to effectively engage the growing fan audience and leverage on potential opportunities. 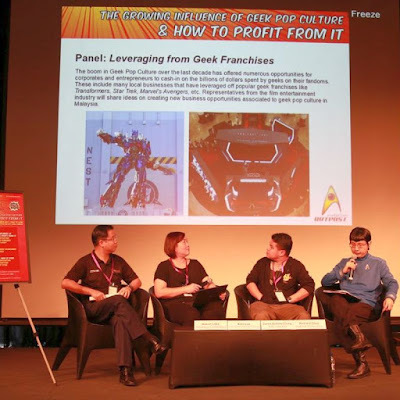 Late 2017 in conjunction with Publika's Comic-Play, we organised a mini-conference titled “The Growing Influence of Geek Pop Culture and How to Profit from It” with panels featuring geeks sharing what they want, and industry reps from film entertainment. 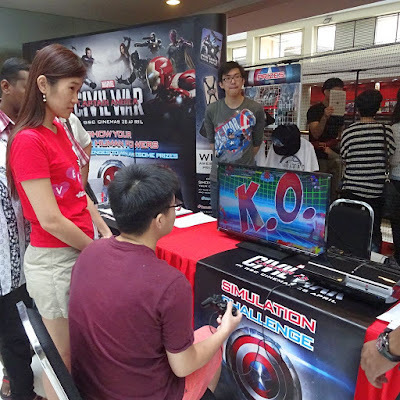 Blaster sports activities & tournaments (using NERF or other equivalent); see here. Costumes & props sourcing / rental. Talent & promoter outsourcing for on-ground events or video shoots. To stay tuned on local geek pop culture happenings as well as the latest geeky news, follow us by social media as OutpostMY on Facebook / Instagram / Twitter as well as subscribe to this blog (submit your email on the lower right panel).